The study was funded by rb&hArts which is the arts programme at Royal Brompton and Harefields hospitals. 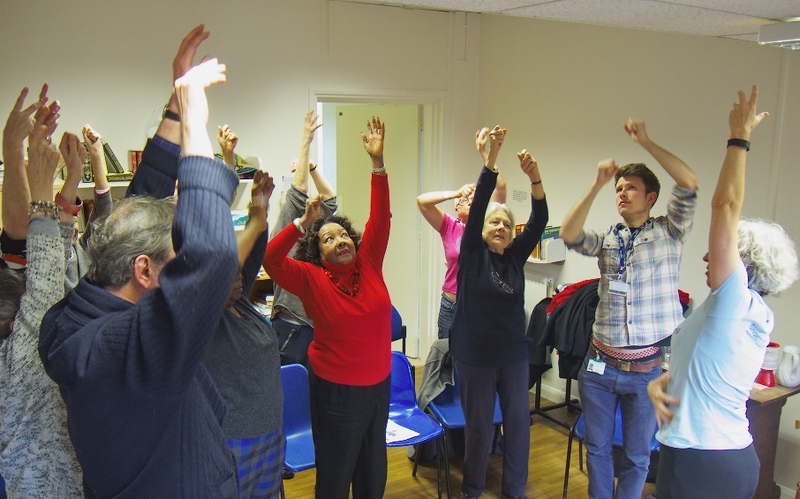 Patients who took part described the positive effect singing had on their general wellbeing, the sense of community support they felt in the classes, and the feeling of achievement that taking part in the classes gave them. 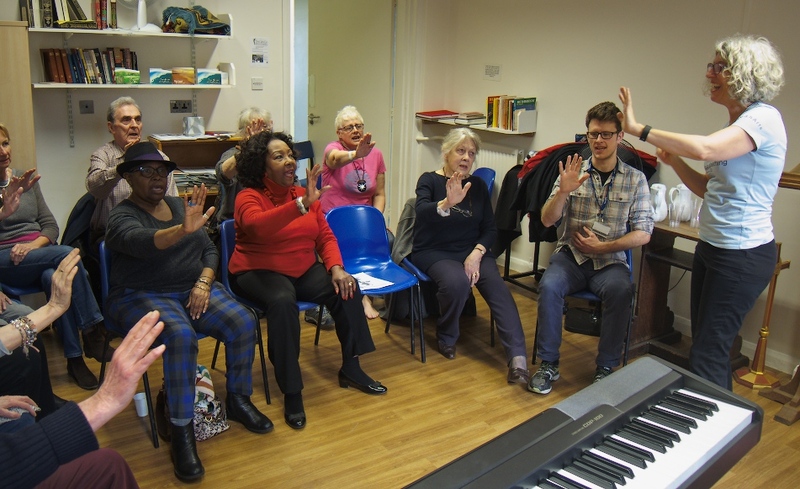 With the benefits of singing proven, the NHS Foundation Trust launched ‘Singing for Breathing’ – a flagship project which supports people living with chronic heart and lung conditions. Sonia Campbell was diagnosed with PH in 2006 and attends weekly Singing for Breathing sessions. Here, she talks to Charlotte Goldthorpe about how singing has improved her wellbeing and helps control her symptoms of breathlessness. Why did you start attending the singing group? I became aware of the group when I was referred to the Royal Brompton, but it took a while before I started attending the group. I have now been attending for over five years and intend to continue as long as I am able. I have never regretted joining the group and try not to miss sessions, although I have to at times. Who attends your singing group? People of various ages can attend, with both inpatients and outpatients encouraged to join the group. The variety of the attendees reflects the wide group of people with lung diseases at the hospital. I am not certain if I am the only one with PH – some people are asthmatic, have COPD or other lung diseases. It’s a great place to meet new people from different walks of life, but who share a common interest in wanting to learn how to improve their breathing. Even people who have fairly busy social lives still find time to come to the sessions regularly because it gives them a sense of belonging. There’s normally about 11 or 12 of us, but we do sometimes get nearer 20. Sonia and her classmates at a Singing for Breathing session. The group leaders are mostly professional singers and teachers who are trained and accredited by the British Lung Foundation. Can you describe a typical singing session? Each session lasts around one hour and we start by greeting each other and making sure everyone is feeling comfortable. We normally do around 20 minutes of various movement and breathing exercises, concentrating on using the breath to its full extent. Exercise is important because it improves the way you breathe. Everyone is taught the same technique for managing breathing, so if we experience shortness of breath or start to panic we can calm ourselves down. This is followed by singing a variety of songs including ballads and pop music to practice breathing techniques. It’s important that each group member goes at their own pace and the group leader is ever mindful of this, while making sure we are improving our breathing. For example, someone struggling to hold the notes, or sing for the full hour can stop and join in when they’ve caught their breath back. Learning to sing requires plenty of breathing and posture control. Water is always available if needed at each session and we stand to sing at times or choose to remain seated. Sonia and her friends stretching ahead of a Singing for Breathing class. All exercises we learn during the sessions are useful in our day-to-day lives, as being breathless is ever-present due to our lung conditions. I used to get headaches when I first became ill with PH, but since starting the singing for breathing classes I don’t have them anymore. We can all look pretty well during the class, but have our own challenges breathing when we’re out and about. Do you have any advice for PH patients considering singing as therapy for PH? I would encourage others to go ahead and try a class near you. Singing classes help you get out and about, meet new people and improve breathing. It also helps improve your confidence which can be greatly dented after a serious period of illness, especially PH which is little-known. Don’t be put off if you think you can’t sing, because you can. Some people can get caught up in their illness, but singing takes your mind away from what’s worrying you. You also might get the opportunity to showcase your singing as part of a show. At Brompton we sing a few Christmas songs around the wards each year and take part in their fundraising concert. During the NHS 70th birthday celebrations we also sang on the wards and in the foyer and people joined in with us. We all got a real sense of achievement from doing it. Friends and family members are welcome to attend our session at Royal Brompton, so it’s worth asking your teacher whether you can take someone along to support you. The feel-good factor is no doubt a benefit to all. What are the main benefits you’ve experienced from attending the singing group? Vocal coaching can not only help with your breathing, but it brings many psychological benefits too. Attending weekly sessions puts some regularity into your day and meeting like-minded people stops you from feeling lonely and isolated. I’ve made so many friends in the group and it’s great to feel a sense of achievement when we make music together.